Our goal is to make your learning experience as engaging as possible. You’ll find our course material practical and interactive, with comprehensive study support. We deliver online education to fit around busy lives. 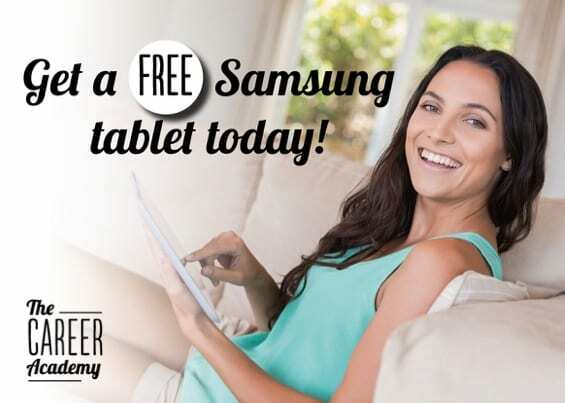 You’ll receive a free Samsung tablet when you enrol in any course valued at €499 or more and pay in full. Click here to enrol today, as we have a limited number of tablets to give away! Whether you are looking for a new job, wanting a promotion or changing careers. Our tutors are committed to guiding your success and we offer unlimited support to get qualified. Fit study into your life, at your home or office! We have payment options to suit you! Get ready for work with our help! Gain our qualification in Accounting, Administration or improve your bookkeeping skills. Reach your dream of being your own boss and join the Breakthrough Program. Study the human mind and how it works! With our counselling and psychology courses. Understand animal behaviour and pet care with expert tutors. Learn Xero Accounting fast – from beginner to advanced, start today!